The General Pathway is the most popular road to general practice registration. Choosing to train with GPTQ via the General Pathway provides you with access to some of Australia’s best medical educators. It gives you the opportunity to work at a variety of locations across southeast Queensland, from bustling Brisbane to the serenity of country towns like Gatton and Wondai. Our GP practices, hospitals and Aboriginal Medical Services offer an exciting range of clinical experiences. If you want to do lots of things, if you want variety and the opportunity to go in multiple directions – this is the place to be. I have a friend who keeps telling me to come back and do psychiatry, and I just don’t think I could do the one thing all the time. What is the AGPT General Pathway? The General Pathway is one of two ways that you can undertake AGPT’s training program to become a GP. The other is the Rural Pathway. 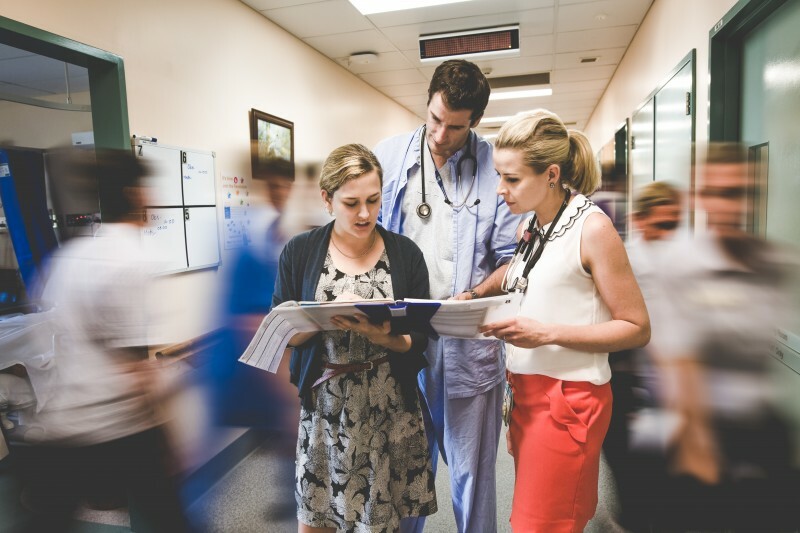 Training with GPTQ via the General Pathway provides education and experience in general practice across our entire training region, which includes metropolitan, regional, rural and remote locations in southeast Queensland. Unlike the Rural Pathway, registrars can choose to train anywhere within our training region, although you still need to meet location requirements over the course of your training program. Our training program enables you to meet the training requirements to achieve your GP fellowship. This is a formal recognition from one or both of the GP colleges of your general practice training, and is necessary to practise independently as a GP in Australia. The General Pathway is popular and placements are competitive. Our training region encompasses southeast Queensland. It includes greater Brisbane, north to Bribie Island arcing north of Caboolture, Blackbutt, Murgon and Kingaroy and south-west to Chinchilla. The southern border aligns with the NSW border and takes in Goondiwindi, Stanthorpe and Coolangatta. There are more than 350 training practices available to our registrars, offering a wide range of scope for clinical experience and lifestyle. Registrars on the General Pathway can nominate where they train, electing either a full year in one location or two six-month placements in two different locations. The current training policy means you don’t have to undertake rural GP placements unless you are pursuing a Fellowship of the Australian College of Rural and Remote Medicine (FACRRM) or a Fellowship in Advanced Rural General Practice (FARGP). Consider taking the Rural Pathway if you’re interested in achieving a rural fellowship. We strongly encourage all registrars on the General Pathway to do some of their training in rural locations. We have a proud history of training registrars who are also full-time members of the ADF. There’s an Army base and an Air Force base in our training region, and as such we have ADF doctors joining our training program each year. Registrars who are in the ADF take the General Pathway and combine their defence training with our medical training. It can be a challenge for these registrars to straddle both training programs, and we endeavour to provide the flexibility and support required to ensure they successfully complete their fellowship while also meeting their ADF obligations. The application for ADF doctors is similar to civilian doctors. You can experience medicine in our practices and hospitals across Brisbane, including some of Australia’s most prestigious hospitals. Our metro area is only available to General Pathway registrars and also includes popular locations outside of Brisbane, such as Palm Beach and Burleigh Heads. You have the option of training in regional and rural locations too. You can learn from both city and country doctors. There are many benefits to taking the Rural Pathway instead of the General Pathway. You receive the same quality training but in rural settings which can offer valuable and rewarding experiences. Many doctors enjoy the variety of medicine and clinical learning opportunities in rural practice. And you can practise anywhere once you complete your training and receive registration. There are financial incentives for rural GPs, and it’s less competitive to secure a training placement on the Rural Pathway. If you have a genuine interest in rural medicine, we urge you to consider training via the Rural Pathway. Find out about the Rural Pathway, and check out the ‘go rural‘ section of this site too. Explainer: What’s the difference between the General Pathway and the Rural Pathway? What’s the difference between the Rural Pathway and the General Pathway? There are two pathways available through the Australian General Practice Training (AGPT) program: Rural Pathway and General Pathway. If you train on the Rural Pathway, you are required to complete your training in rural and remote settings (ASGC-RA2-5 or MMM2 – 7). Registrars on the Rural Pathway can work anywhere in Australia once they achieve Fellowship. If you train on the General Pathway, you can complete your training in rural, remote or metropolitan settings. However, there are restrictions on General Pathway registrars in terms of completing part of their training in areas in need of doctors. Doctors on the 10-Year Moratorium ie overseas trained doctors and foreign graduates of accredited Australian medical schools can only apply for the Rural Pathway. Please refer to the above explainer video to understand the difference between the two pathways. Find out more about the 10-year moratorium. Find out more about training pathways. How do I find out which AGPT pathway I am eligible to apply for? Find out more about pathway eligibility on the AGPT website. It is important to note that international medical graduates on a temporary work visa are ineligible to apply for the AGPT program. Are rural placements compulsory on the General Pathway? Find out more about GPTQ’s training region. Find out more about eligibility. You can also use the AGPT Pathway Eligibility Flowchart to self-assess your pathway eligibility.